I haven’t had any trouble deciding what I’ll be splurging my Boots points on this year. 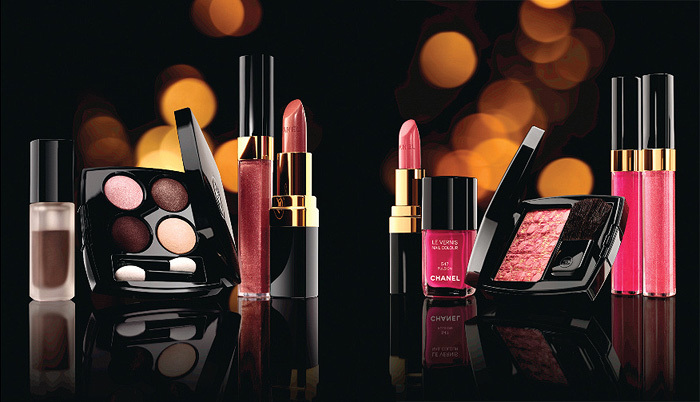 Last year… the Dior holiday collection caught my eye quite late on… but this year, it’s all about the Chanel. I have 7578 points saved up through some tireless shopping efforts. It hasn’t all been glamour… Leila has had to quickly develop a taste for Boots branded baby things and I suspect that with no more buggies to buy, next year’s bounty won’t be quite so fruitful *sniff*. However, that’s still £75.78 to blow spend. Annoyingly, when converting points to prizes purchases, you’re not allowed to part pay in cash… which means that my total spends must come to under that amount. 2. Ombre D’eau Liquid Eyeshadow – Splash (£21.50) Criminally overpriced IMO, but when you fall in love… you get stupid. Erm, where’s my money points gone? That comes to *counts on fingers. and toes* – £78. Oh NOES, I’m short by just over £2! I need to earn 222 points on as low a cash spend as possible – PRONTO! Do you save store loyalty points for a Xmas treat? I didn’t know you couldn’t pay part cash when redeeming points. I tend to spend on little bits and pieces here and there so I have about £1.75 on my card right now. To get 222 points you would need to spend £55.50. Do your xmas shopping now! they’ve said that to me too! I also hate it that you can’t use your points to pay for something more expensive and then just cover the rest by cash. You can do it with your Debenhams cards, but annoyingly they only convert £15 worth of points a month into rewards, so at the moment even though I have another £28 worth of points sitting on it, I can’t spend it all until January. what way does the debenhams card work? I can’t find any info on the website. On my account it says i’ve a £5 reward but then it says i’ve to spend more to claim the reward or something? Thanks! I’m not sure exactly, but I do know that they convert your points into rewards every month, and they only convert them for up to £15, no matter how many points you have. it’s great that you’re looking forward to getting these amazing stuff such as the chanel quad it looks lovely! I am a terrible points hoarder (and voucher user to double them) and i love the pre-christmas offers. Last year I managed to save almost £300. Ok i didnt spend a single point most of that year to get to that stage! This year my balance is only about £40 but ive been using the points as I get them. LOVE my boots card! I’ve got about £35 on my Boots card but I’m not too sure what to spend it on. I might just keep saving them. Although, that pink lip gloss looks really pretty..
Why dont you: Ask for a £2 discount off the eyeshaddows, because you dont want the stupid applicators. Hehe… Sorted. I think I’ve got about £12 on mine. The guys at work give me their lunch receipts and I get their points. A bit naughty I know……Have no idea what I’m spending it on I may just let it roll over until there is something really amazing I can’t live without. If you end up getting that Ombre d’Eau, please do post swatches! I totally love Chanel’s Fluid Eyeshadows, and I hate that they’re so expensive, but it’s one hell of a quality product, and they actually last a really long time despite looking pretty tiny. That’s such a great idea! I tend to end up spending my points on food when I run out of money at the end of the month, but this seems much more productive! I used to save them for shampoo, razor blade and shower gel emergencies when I was a student but now, yes! I save them for the post Christmas, penniless months. I’m only at about 40 quids worth at the moment but have still got a bit more shopping to do! Get yourself down to Boots on an extra points evening! 1200 points for spending over 50 quid! Woooooow thats a lot of points! Man, they don’t give good things like that away at Ulta or Sephora here… I’m jealous of Boots points. I have just over £30 on my card at the moment and I would like to thank the nice Boots employee for persuading me to spend more money in there last weekend so I could take advantage of their points bonus scheme! Well I have £70 and some pennies in Boots Advantage points. The only thing I want is the Urban Decay Naked Palette, but oh no every time I go to my local boots that sell UD it is always sold out. Even worst they do not let you redeem points online or the phone. so unsure what to do. The last time I had £110 on my boots card and it allowed me to replace my broken camera for a free sparkling new one. i spend mine quite regularly, when it gets to about 3 quid. i just buy femfresh or body moisturiser with it.